As we all understand that in India majority of people use Hindi as their communication language. 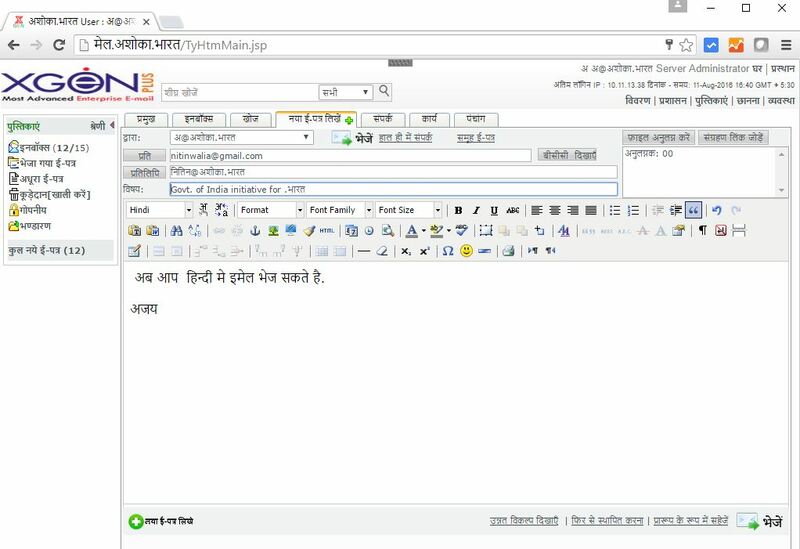 Up till now there is no such email server that allows them to communicate with email in hindi language. So, taking an initiative for those Non-English Users. 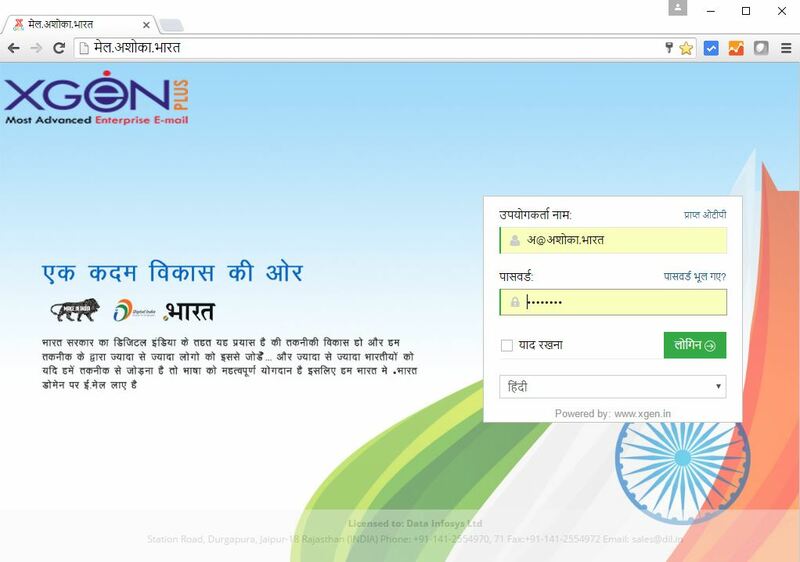 XgenPlus, allows people to have their email address in Hindi. XgenPlus, an advanced email server has become the first secured IDN support Email Hosting Provider in the world. With XgenPlus you can get an email address in your regional language Hindi and communicate on any email address Globally. To get your Hindi email address you can contact our sales team or request us instant call. You can also have live chat with us. Let language be no bars for your communication.